Detailed table of coil resistance date is available in the technical support pages of this site or can be sent upon request. 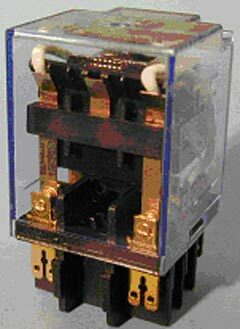 Relay 1286 can be mounted on metal sheet (by plastic support + 2 M4 screws or by M4x8 bolt + positioning part) or on symetrical or dissymetrical DIN tracks with specific adaptators to be mentioned on your order. See detailed indication regarding mounting and withdrawal in our technical support pages.